I am a huge fan of Boogie Wipes. Ever since the first time I got to work with Boogie Wipes on a review and got to try them for myself, I fell in love with them and so did my kids. I buy them every time I see them because I think they do such a wonderful job cleaning little noses without making them sore. Not only do I use them for my kids, but I use them myself too! Boogie Wipes has created a new Boogie Wipes Teacher Kit in honor of National Provider Appreciation Day. 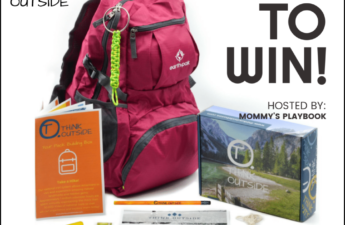 The kit includes a poster with Save the Sleeve pledge guidelines, 50 Boogie Wipes Samples, $.50 cents off coupons, and 2 classroom canisters of Boogie Wipes. 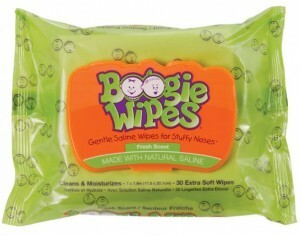 For a limited time, Boogie Wipes even offered 10 free Boogs in thier kit! 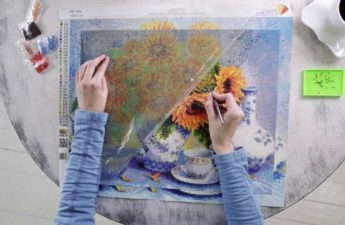 You can purchase the Teacher Kit without the Boogs for $15. I think these are great to have in classrooms! There are a lot of kids even in our daughter’s classroom (in third grade if you can believe it) that still seem to have trouble getting up and getting something else to wipe thier nose with. I have seen many of them still use thier sleeve. Kids younger than that do it more often! I think the Teacher Kit would be a great factor in teaching them to “Save the Sleeve”! I was sent a 30 count package of Boogie Wipes, some $.50 cents off coupons, and 3 of each sample/travel Boogie Wipes in grape, menthol, and fresh scent. I love the sample one because they are so easy to throw in my purse to take with me and of course the soft packaging of the 30 count bag makes it so easy to take with you too! They come in great scents so its always a pleasure to wipe or clean your nose. They are really, really soft and they are wet because they have saline in them. The saline makes it so easy to wipe off noses because it breaks up mucus saving noses from becoming sore after wiping and wiping. This is really great especially with little ones like our youngest son at a year and a half. When he has a runny nose, it runs contantly and he hates having it wiped off. If he sees that I am using Boogie Wipes, he comes running over! Sometimes his nose area gets dried on mucus and the reason I love Boogie Wipes is that they really do clean off that dried mucus really, really well! I can’t tell you enough how much I love them and how great they work! They are strong too so there isn’t any worry of them tearing through either. 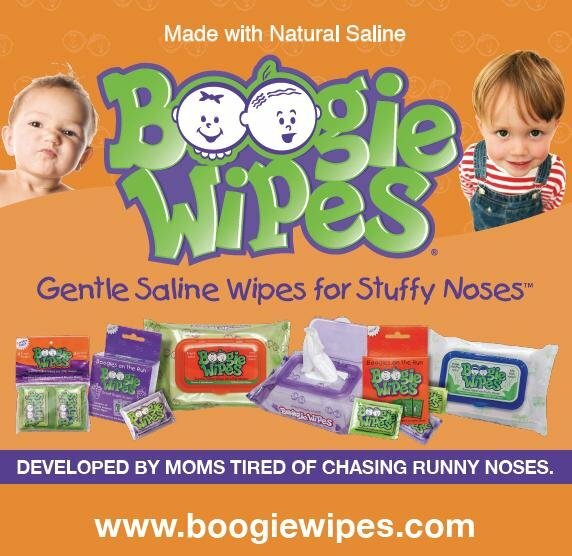 Boogie Wipes are absolutely amazing and I keep them in stock at home because we never now when any of us will have a cold and allergies run year round in our household! Buy It: You can purchase the Boogie Wipes Teacher Kit for $15 which is great for classrooms and daycare or even at home! You can also purchase a Boogie Buddy or even a Boogie Wipes Diaper Cake on their website! You can also purchase Boogie Wipes in a 30 count package for roughly $4.00 and packs of individual ones for roughly $3.00. You can find them online and at local stores such as Toys R Us, Target, Kroger, Walgreens, Walmart and so much more. 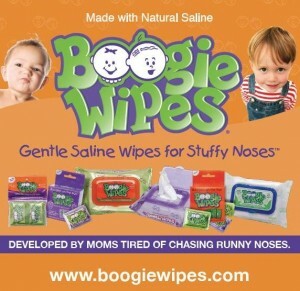 Please check the Boogie Wipes store locator for more locations. Win It! 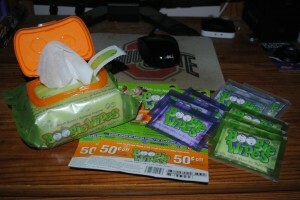 Thanks to Boogie Wipes, one of my lucky DustinNikki Mommy of Three readers will win a prize pack that includes (2) 30 count packs of Boogie Wipes, 9 sachets/sample/travel wipes (3 of each scent grape, menthol, and fresh scent), 2 Achooz sachets (fragrance free and cool mint), and (2) $.50 cents off coupons! *Tweet about my giveaway and leave a URL of your tweet in a comment so that I can verify your tweet (1 entry and can be done once daily) Leave a comment with URL each time you tweet. You can use the example below or use the twitter button at the bottom of my post. If you use the button, my hashtag @dustinnikki should already be included in your tweet. If you use the tweet button, please include hashtag @boogiemom in your tweet. 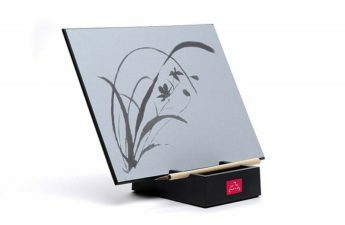 Giveaway is open to the US only. Giveaway will end June 19 @ 11:59 PM (EST). Winner will be chosen using random.org. Winner will have 48 hours to respond after I contact via email. If winner does not respond, a new winner will be chosen. Good Luck! I think the Boogie Wipes Diaper Cake would make a great babyshower gift. I follow via GFC. I used the store locator and found out that the Target nearest to me carries Boogie Wipes! I follow boogie wipes on twitter! I like boogie wipes on FB! I would love the methol wipes for when my little girl has a cold! I entered the kung fu panda giveaway. I follow with gfc (psychdog) and I’ve never tried these. I think the grape ones sound nice and I really like the “boogie buddy” toy. I like boogie wipes on facebook! 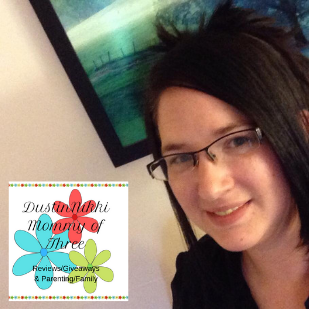 I entered the Kung Fu Panda 2 giveaway! I “like” Boogie Wipes on fb!